Would you like to feel like a local when exploring a new city? Would you like to visit most favorite places, where only local people go? Do you want to know what they usually eat or drink and how owners of local restaurants prepare their specialties? Would you join a good cause? Like every year to support the emergence of democracy in Iran. You can take part in one of the largest conferences in Europe which is supported by more than 40 states. From Prague to Pilsen: A wonderful day trip! 02.05.2014 Foreigners.cz Miscellaneous, Places to go, Trips 1 Comment on From Prague to Pilsen: A wonderful day trip! 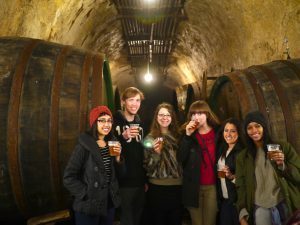 Only a two hour trip west from Prague, Pilsen has proven to be a wonderful location for a day trip to learn how the ever-so-popular “Pilsner Urquell” is made. Hello Brno invites you this year to meet with French professional artists who are heavily involved in the Franco-Czech community; enthusiasts who have experienced both cultures and transform the festival into a place of celebration. This trip in Pilzen was possible because of the Teambuilding and the incredible people I meet there. I would like to thank to Lucie T, Martin S and Lucie S. They are another great team of Foreignrers.cz. – Tim Burton and His World – 28.3. to 3.8. 31.03.2014 17.10.2017 Foreigners.cz Event, Featured, Places to go, Trips 1 Comment on – Tim Burton and His World – 28.3. to 3.8. 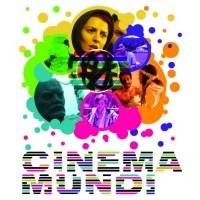 The first edition of the International Film Festival CINEMA MUNDI took place at the end of February and March 2010 in Brno the stimulus and inspiration for the vnik Festival was the long tradition of Brno trade fairs and exhibitions in the Moravian metropolis after many decades successfully lures the exhibitors from the field of industry and services from around the world, and the desire to create a similar platform in Brno for the world of film. With summer weather hitting record highs, take advantage and spend an afternoon biking around the beautiful Hradec Králové. Being in Czech Republic for a semester, it’s an opportunity to visit neighbor countries and discover different cultures of our continent. 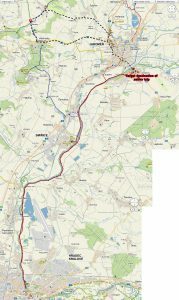 And a Road-trip Prague-Brno-Bratislava-Trnava-Vienna-Prague is possible in 3 days!